captive. He comes to bring jubilee, the year of favor in which all debts are revoked and people can begin fresh and free. He is liberation from the ancient debt of sin. Any questions? A most important event will take place this Tuesday evening: The Discernment Meeting for the Parish Pastoral Council. Each year we select new members for the Council to share their gifts to engage the parish in a parish plan which makes real the words of our Parish Mission Statement. You are invited to come to find out more about the purpose of the council and to decide whether or not you would like to be considered for this most important ministry. Presently the council is working on a program to reach out to alienated Catholics in a “Catholics Can Come Home” process. Also, we are seeking ways to minister better to young parents and newly married couples. See today’s bulletin for more details. This coming week will be our last “Soup and Study on the Gospel of Luke.” (Last three weeks notes available here.) Our topic will be the passion, death, and resurrection of Christ as Luke presents it to us. Come along for some delicious soup at 6:00 p.m. and the study at 6:30 p.m.
Coast Orchestra playing Big Band Music for listening and dancing! Our hope is to have 250 people in attendance in order to make this fundraiser for the restoration of St. Francis Hall a success. The evening will also feature surprise door prizes, a silent auction and a live auction of great prizes! Don’t miss out! Finally, join us this morning after 10:00 a.m. Mass to bid a fond farewell to Kathleen Flanagan, who has served us well as Parish Administrator for several years and to congratulate her on her new role in the Province of St. Barbara. We will also, welcome Mrs. Gwyn Grimes as our new administrator. Please stop by the Serra Gardens to offer your appreciation for Kathleen and Gwyn. Fr. Vince is a native of San Jose, California. His family background is Sicilian with his grandparents coming from Sicily in the early 1900s. He attended schools in San Jose until he graduated in 1967 from San Luis Rey College, which at that time, was here on the grounds of Mission San Luis Rey! After graduation, Fr. 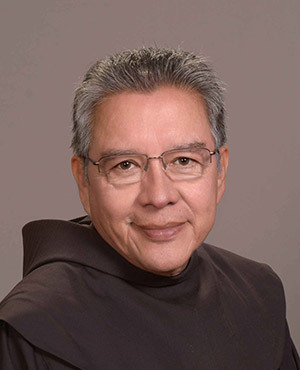 Vince entered the Franciscan Novitiate at Mission San Miguel and then after his first vows, he entered the Franciscan School of Theology for his theological studies and ordination to the priesthood on October 28, 1972. Over these years since ordination, Fr. Vince has worked in a number of parishes as pastor, including Mission Santa Barbara and St. Mary’s Basilica in Phoenix. For a brief time, he has also been involved in the retreat ministry at San Damiano Retreat in Danville, California. Most recently, Fr. 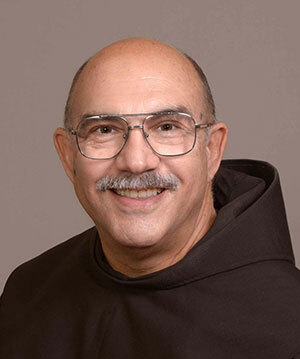 Vince has been Guardian and Director of Formation at St. Elizabeth’s Friary in Oakland, which is the provincial headquarters for the Franciscans of the St. Barbara Province. With the election of Fr. David as Provincial of the St. Barbara Province in 2016, Fr. Vince was assigned as the pastor here at Mission San Luis Rey Parish. He has brought a number of gifts to this parish but most especially his deep love for the Liturgy and liturgical music. Father Francisco Alejo Justo was born in Carapan, Michoacán, Mexico. Fr. Francisco started his Franciscan vocation in the Franciscan province of San Pedro and San Pablo de Michoacán, Mexico. On July 15, 1994, Father made his perpetual profesión as a Franciscan religious, He came to the province of Santa Barbara, California in 2003. He has been working most of the time with the Hispanic community. Fr. Francisco arrived at the parish of St. Louis, King, (Mission San Luis Rey Parish) in February 2016. He enjoys the multicultural community, working and growing in faith together. Fr. Oscar is native of El Salvador, Central America. He came to the U.S.A. in 1972, and graduated from San Francisco State University in 1977, with a B.A. in cell biology. He entered the Franciscans, while living in San Francisco in 1982, and studied at F.S.T. (Franciscan School of Theology) in Berkeley. He was ordained to the priesthood on Dec 16, 1989. His first assignment was as a parochial vicar at St. Anthony of Padua church in San Francisco. He went back to his country to study medicine and graduated in 2000. He practiced medicine for several years. He has been a pastor in St. Anthony’s church in San Francisco, and St. Elizabeth’s church in Oakland. 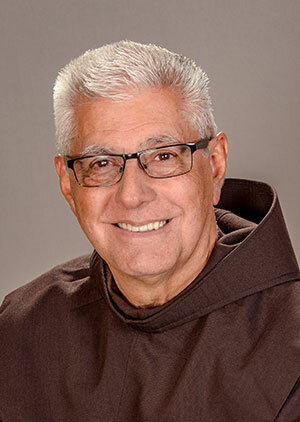 He served as vocations director for 3 years with the Franciscans and came to Mission San Luis Rey parish last April 2018.